Count on us for all your flower delivery online. We strive to send hand picked flowers through our expert florists delivering your flowers within time. We have our delivery services in Kanpur catering to your every distinct need with great efficacy and precision. Wishing our loved ones on special occasions is a way of showing our affection and conveying greetings to them. The greetings are conveyed to them in the best possible way when they are accompanied with a gorgeous bunch of flowers. 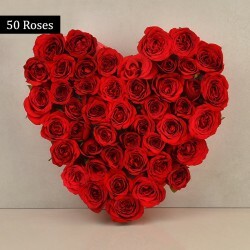 With our fast and efficient online flower delivery in Kanpur you can now easily pleasing your loved ones and send them wishes in special ways on all special days be it birthday, anniversary, promotion, graduation, wedding or any other special occasion. With us, it's easy and convenient as we bring to you the convenience to send online flowers in Kanpur to your friends and family. We ensure a timely-delivery on all orders be it in any part of the city. Our premium flower portal offers you the widest range of exotic flowers in various arrangements that include baskets, bunches and bouquets. 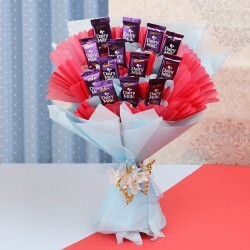 There are special bouquets for your special ones that come handy whenever you want to make them happy. 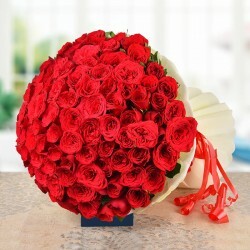 Flower are always delivered fresh and we offer the best price. Also we offer many premium options like same day delivery and midnight delivery in Kanpur on many of our products. Cultivated on the Banks of the holy river Ganga, Kanpur is the 12th most populous cities in India. It is one of the largest industrial regions of Uttar Pradesh as well. It is time now that these hard working people get something in their lives to smile about. The only thing that can make this idea a practical reality is Flowers. Nature's ultimate gifts to mankind, Flowers are one of those few things who can make even the saddest soul in the universe dance with joy. They are the perfect Gifts for every occasion. 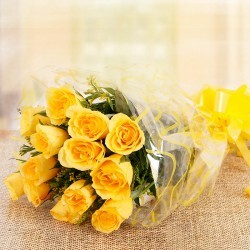 So, with us, send flowers to Kanpur and make a loved one's life fill with positivity. Flowers are perfect Gift for every kind of occasion and when they can be delivered within a few hours, they become even better. 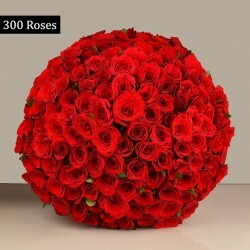 With our online flower delivery in Kanpur, you can send premium bouquets and bunches of handpicked Flowers to your loved ones within a few hours. Make the best out of online delivery with MyFlowerTree. 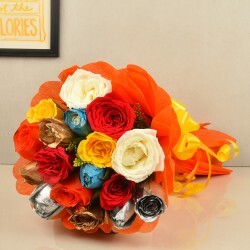 We have red oriented bouquets to celebrate love, yellow oriented bouquets to commemorate friendship, white bouquets for the ones looking for peace, pink bouquets to show care, purple bunches of flowers to show admiration, orange ones are there to wish someone luck and blue based bouquets to let someone know about your loyalty. With just a few clicks on your screen, you can send a special Flower Bouquet to your loved ones without covering any physical distance. 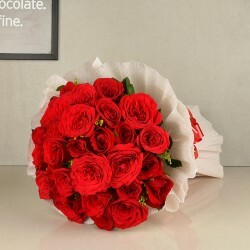 With online bouquet delivery in Kanpur our out all your emotions. Just let us know when and where and we will deliver premium quality bouquets to your loved ones. If you are among those who love to wish their friends and family members at midnight on their Birthdays then you would be happy to know that now you can even send them a special Birthday gift surprise at Midnight. This would be the best surprise that they would ever receive on their Birthday. With our midnight flower delivery in Kanpur you can help your loved ones start their new year on a happy note. To make this surprise beautiful and delicious, send a delicious Cake to them along with Flowers. 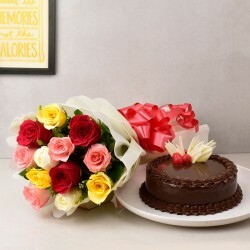 With midnight cake delivery in Kanpur along with Flowers, you can make anyone's Birthday one of a kind. 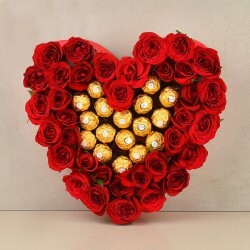 Don't just call them at the stroke of 12 but wake them up with a special knock on their door with a wonderful surprise. The thought of surprising a loved one without any specific reason is the best surprise of all time. Sending just because Flowers are the ones that everyone appreciates. You can send your spontaneous surprises to a special someone will now be much easier with our Same Day Delivery. No need to order in advance. Just place your orders before 5 p.m. and we will deliver your order on that day. Products in this category have been rated 4.8 out of 5 based on 133 reviews.